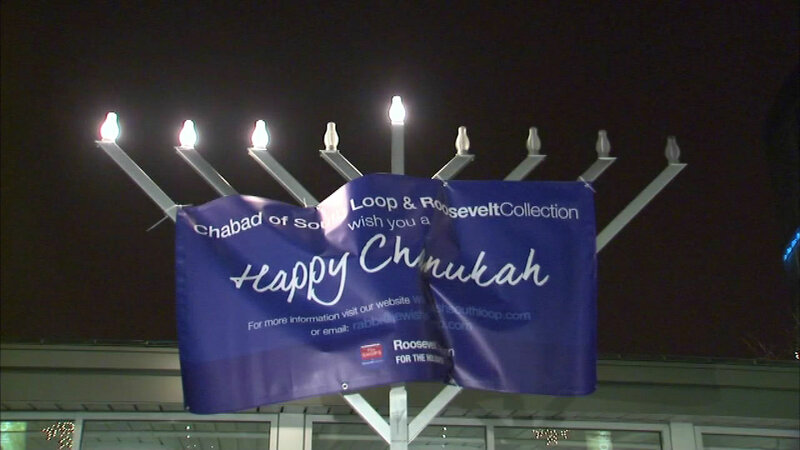 CHICAGO (WLS) -- Sunday is the first night of Hanukkah and a celebration is planned in Chicago. A grand menorah lighting will be held at Mid-North Park in the city's Lincoln Park neighborhood. The lighting, which begins at 5 p.m., will include music, soup, latkes and fresh doughnuts. Hanukkah lasts through Monday, Dec. 14.